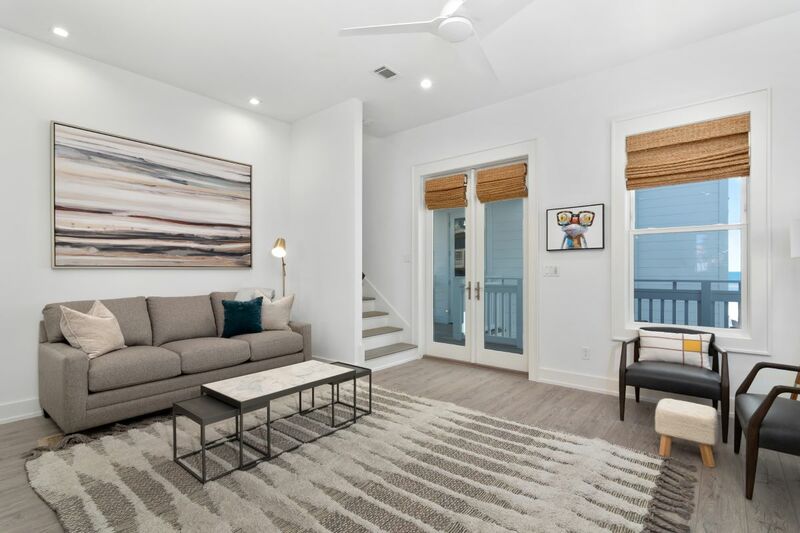 JUST COMPLETED IN MARCH 2019, this exquisite gated community home in Carillon Beach provides ample room to easily accommodate 22 guests. 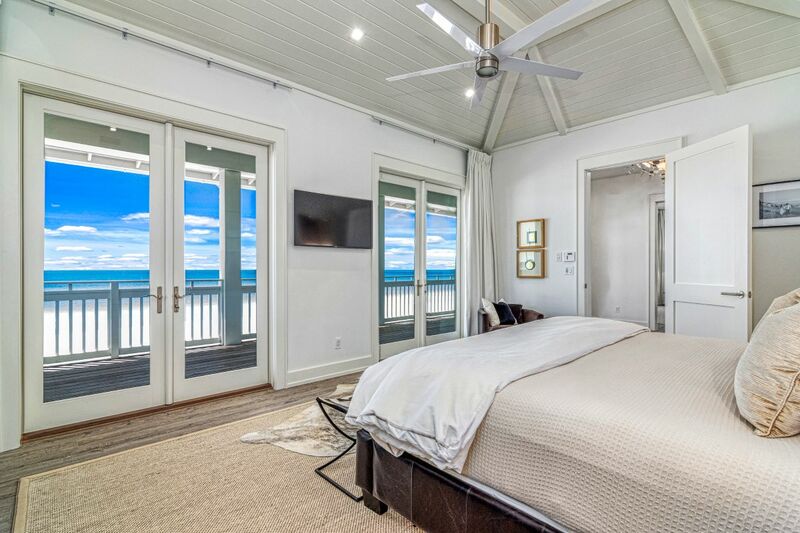 Beauty & The Beach boasts 8 bedrooms, 7 ensuite baths, 3.5 powder rooms, a private pool, and over 140' of private beach frontage. 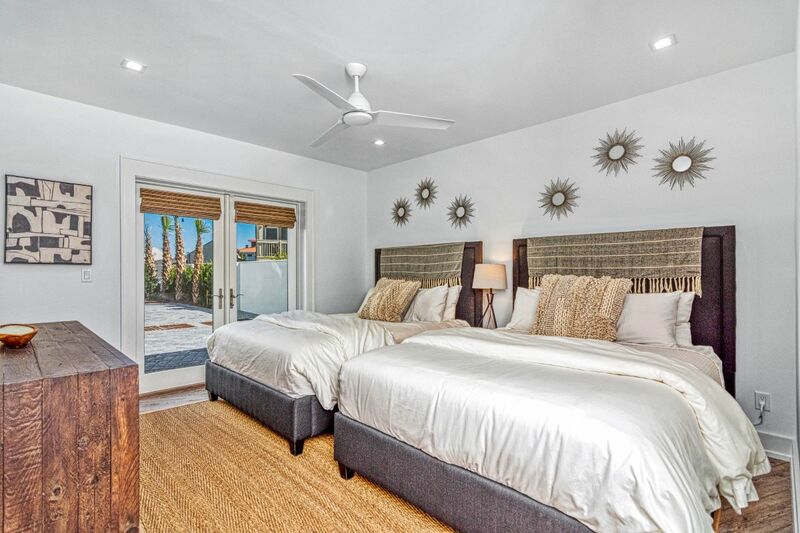 This brand new home offers more than 6,500 square feet of luxury living and high-end amenities. 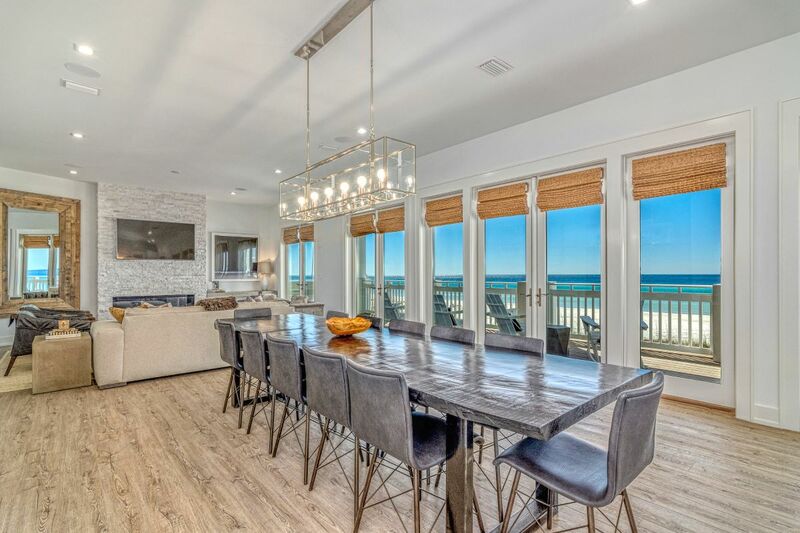 Enjoy breathtaking beach views with more than 2,000 square feet of covered patio decks facing the Gulf of Mexico, which puts this beachside modern masterpiece in a category of its own. The 1st floor invites you to relax by the pool, make yourself comfortable, and indulge in your favorite cocktail. 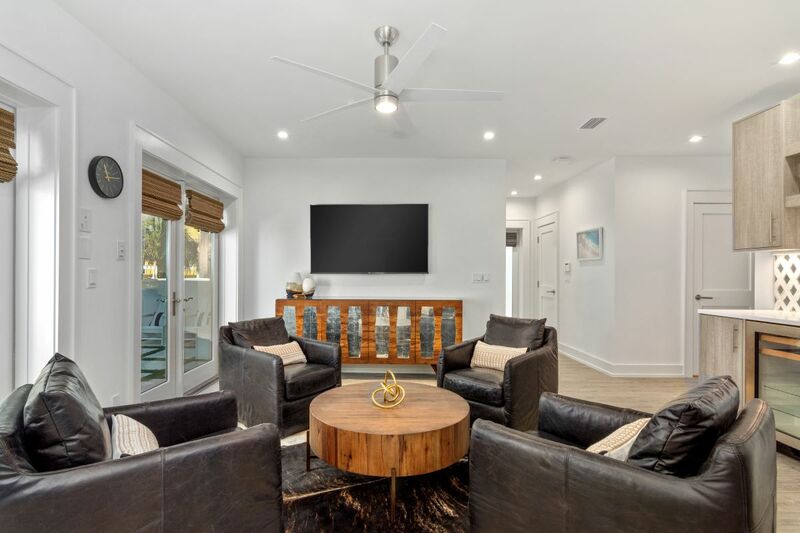 (4) swivel Four Hands Black leather chairs are surrounded with modern art and decor, a wet bar, and a large screen TV, as well as convenient access to a supreme, full-size laundry complete with washer/dryer and a beach view. 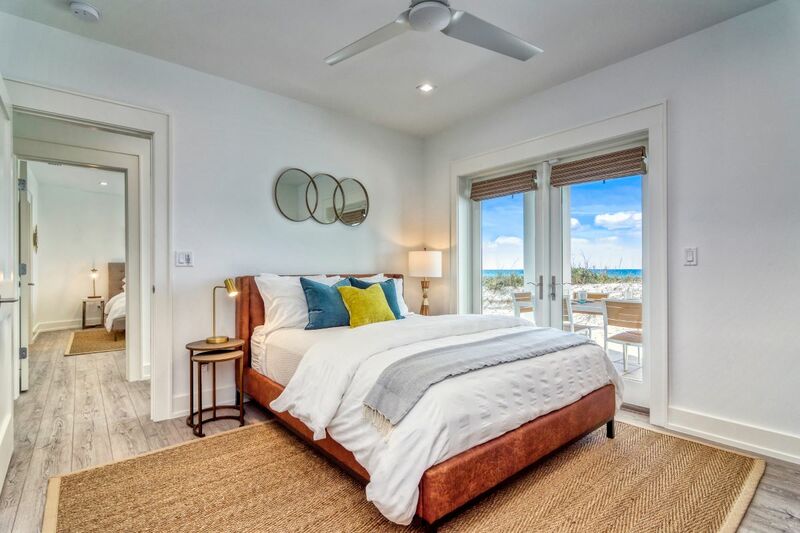 Double French doors lead you directly to a chic pool, which is perfectly staged with an outdoor lounge area, Polywood benches and chaises, a modern built-in fire pit, and private access to the beautiful beach and water. 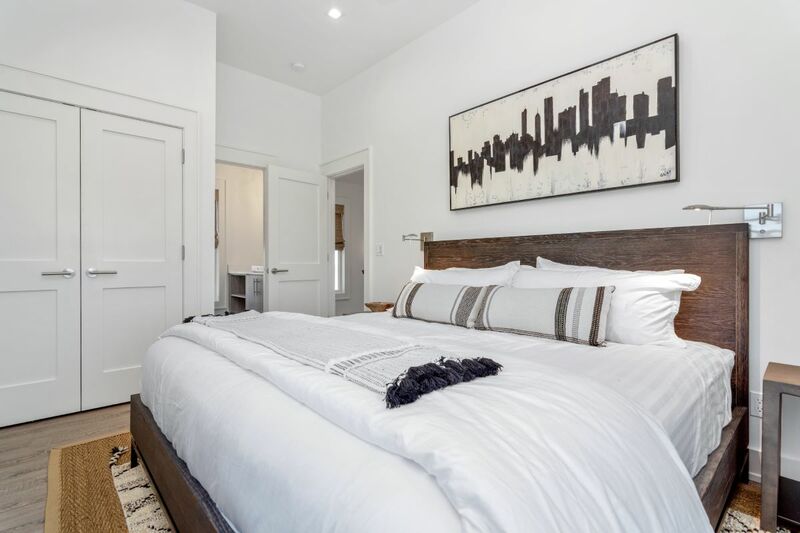 1st floor bedrooms include a king bed ensuite with tub/shower, a bedroom with two queen beds and ensuite shower, and a bedroom with a queen bed ensuite shower. 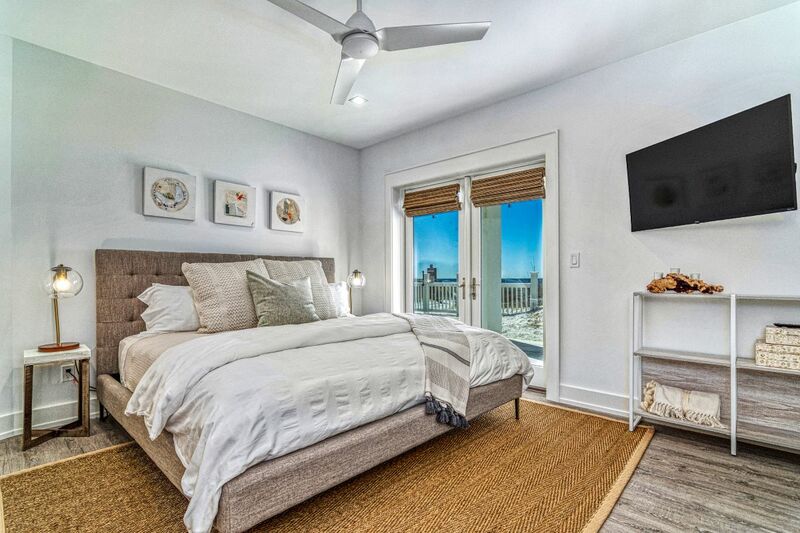 Two of the three bedrooms open directly to the patio porch, facing the beach. 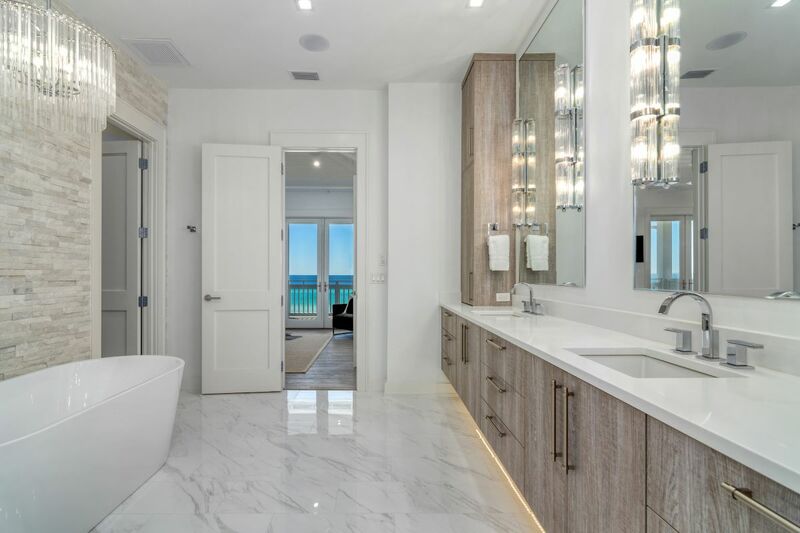 There is also a gorgeous powder room on the 1st floor common area, as well as a hallway which leads directly to access of the Gulf's sugar white sand. On the 1st level deck, you'll also find two Polywood dining tables with seating for up to 12 people. Up the well-lit stairway to floor 2 you'll surpass a huge walk-in pantry and additional wet bar/charging station, leading to the extravagant kitchen which boasts Thermador and Viking appliances, an enormous island with seating for 5, and a Custom Live Edge solid wood dining table with seating for 12. It's all about the details at Beauty & The Beach, with spectacular and unique features throughout the home. 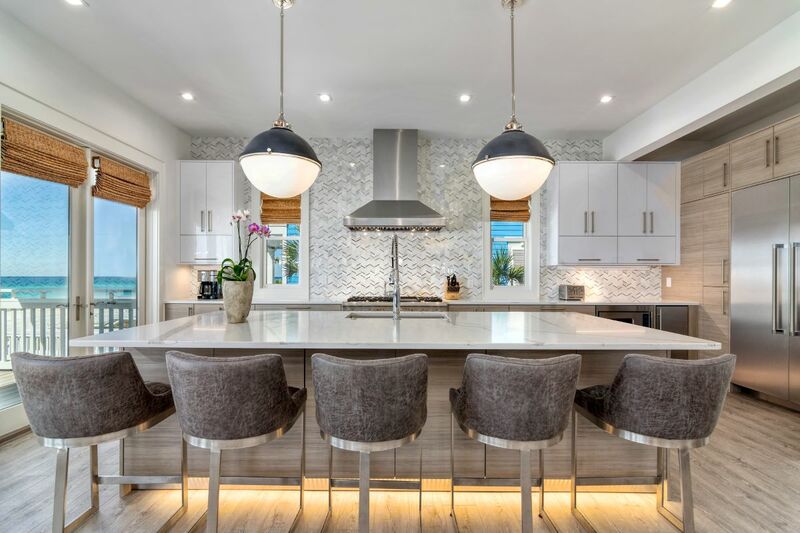 For instance, the kitchen tile backsplash consists of antique mirror glass, countertops are beautiful quartz, and custom Italian cabinetry is by Marquis Milano. The second floor also features a large living room adorned with mid-century modern decor and artwork, a one-of-a-kind gas linear fireplace featuring a wall of raw quartz with customizable LED lighting to suit any mood, and a swanky powder room adding to your lounge experience. 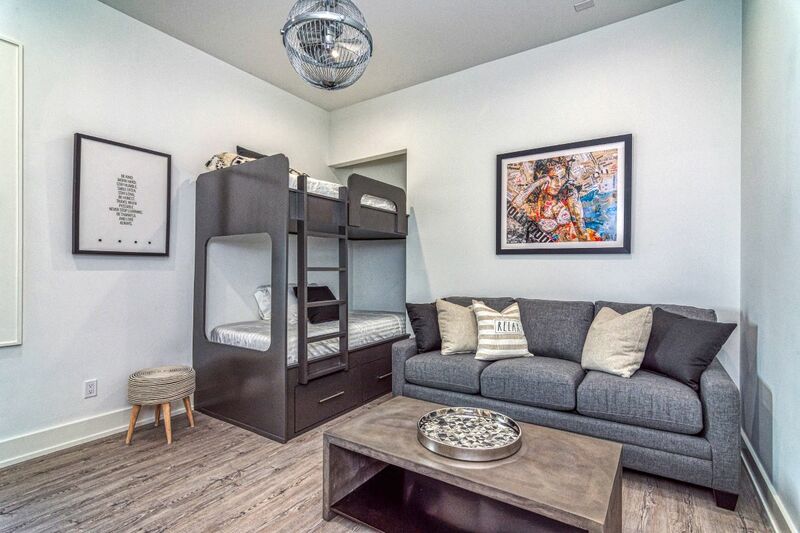 This floor also includes a media room with a set of bunk beds and a queen sleeper sofa. 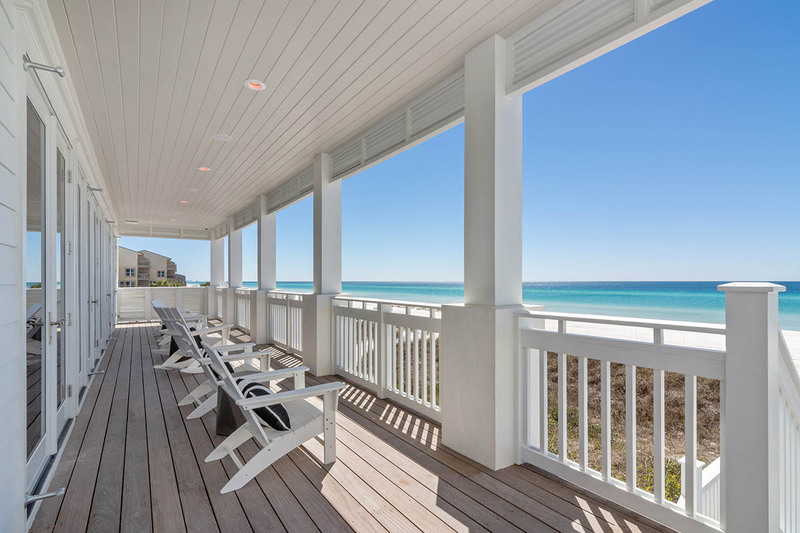 You will enjoy unobstructed ocean views with plush seating from the spacious covered porch of almost 60', while on the second level. Up one more set of stairs, you'll arrive on floor three of Beauty & The Beach. You'll find a convenient morning coffee bar, wet bar, charging station, and washer/dryer. Keeping in theme of stunning details, you'll also notice a fascinating chandelier surrounded by modern art which is sure to leave both you and your guests in awe. 3rd floor bedrooms include TWO master suites. The first, a junior master suite with king bed, blackout drapery resembling the finest hotel, ensuite with dual vanities, and a large shower. 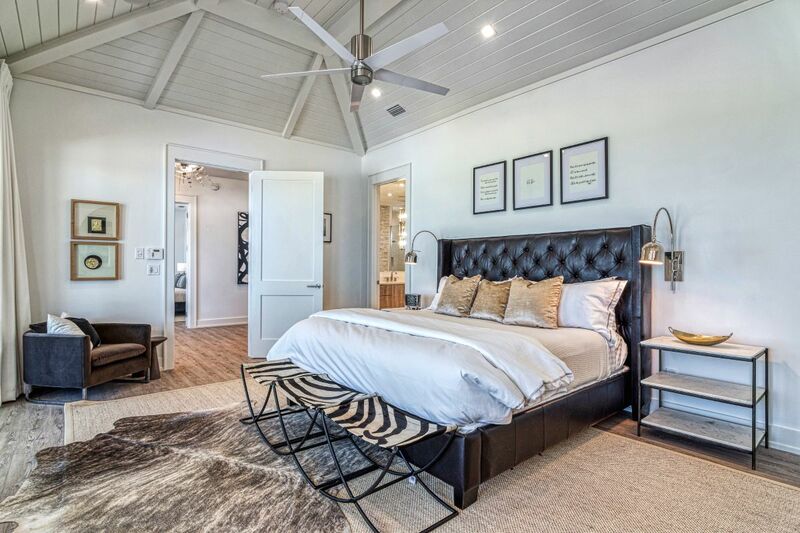 The second, a master suite fit for a celebrity. It spotlights a king bed, blackout drapery, ensuite with dual vanities, huge walk-in closet, large shower featuring three separate shower heads, and a freestanding tub, overhead chandelier, and raw quartz wall, combined to create a striking focal point that is evocative of modern luxury. 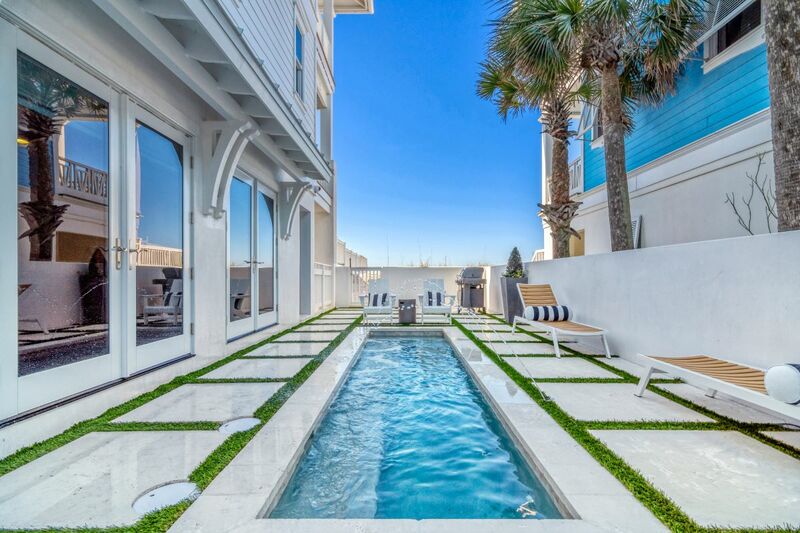 Connected by a serene, covered walkway is the suitably named "Sip & Sea" Carriage House. It comfortably accommodates 6 guests and offers three levels of smartly designed luxury. 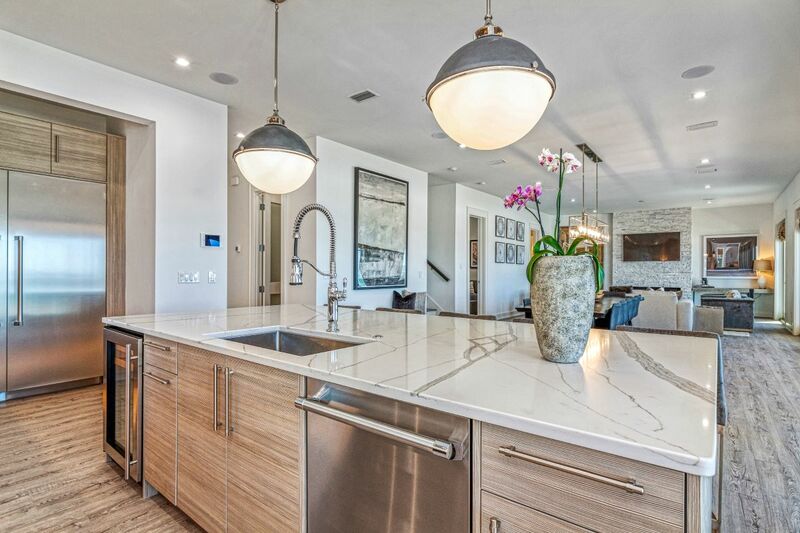 Level two presents a professional kitchen with quartz island, perfect for entertaining and cooking. The stylish second level also hosts a large screen, smart TV and a plush, queen sleeper sofa. 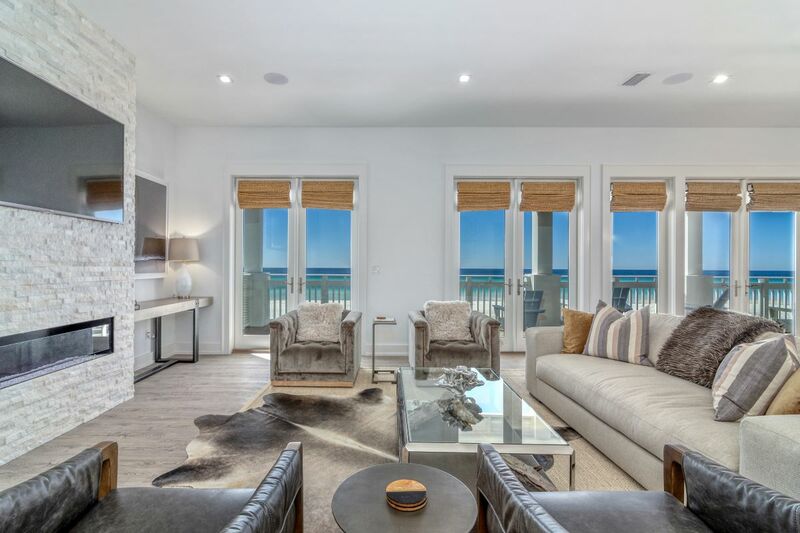 This space allows you and your guests to enjoy modern beach living, while reveling in incomparable views of the gulf from both inside and outside. 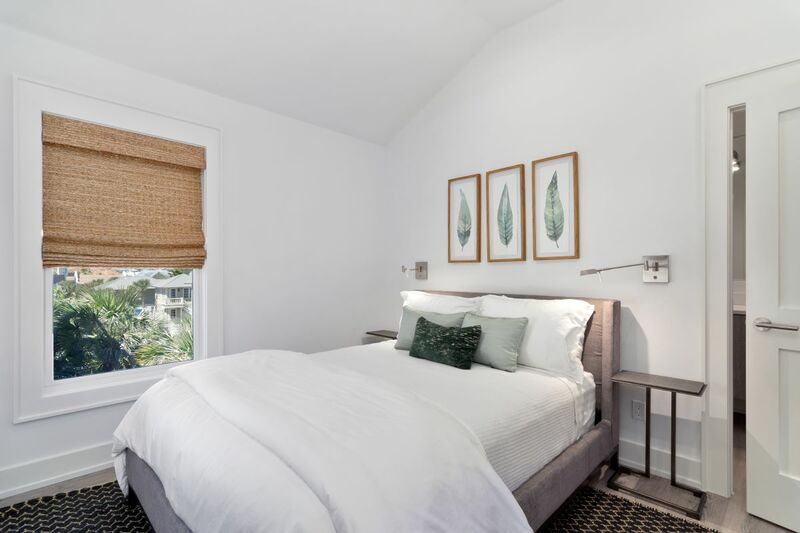 Carriage House bedrooms include a queen bed ensuite with partial ocean view, and a king bed ensuite overlooking the distinct rooftops of the coveted Carillon Beach community. 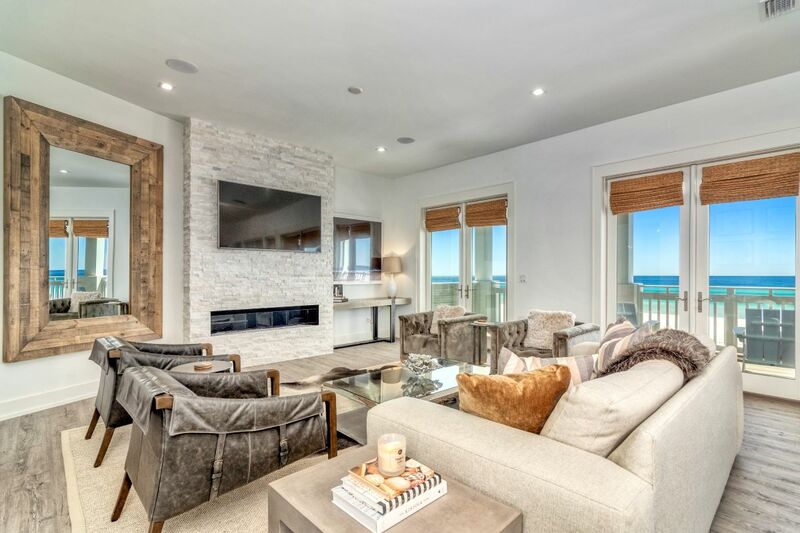 On the first level entrance of "Sip & Sea" carriage house, you're invited to a serene reading nook with views of the ocean, a private patio, and a fire pit. This modern magnificent home can accommodate 22 people with comfort and style. 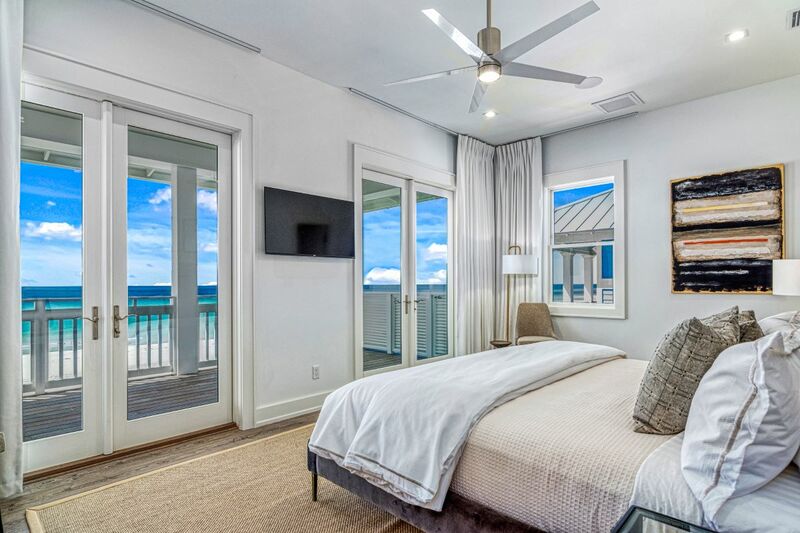 All 8 bedrooms have smart televisions for your convenience, and private bathrooms. The gated community has 24 hour security, 3 community pools which include a heated pool and adults only pool, and 2 tennis courts. 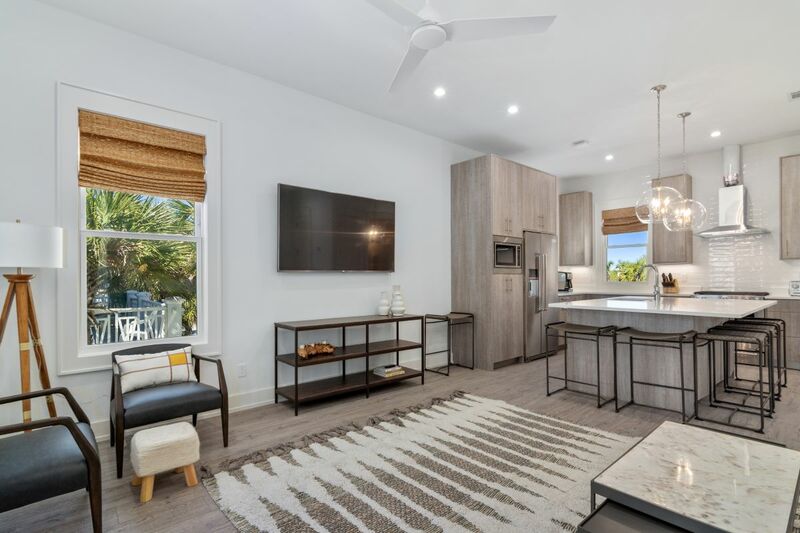 The community of Carillon Beach has over 3,900 linear feet of beach, a lake within the community, and is within one mile from Inlet Beach and famed 30A. 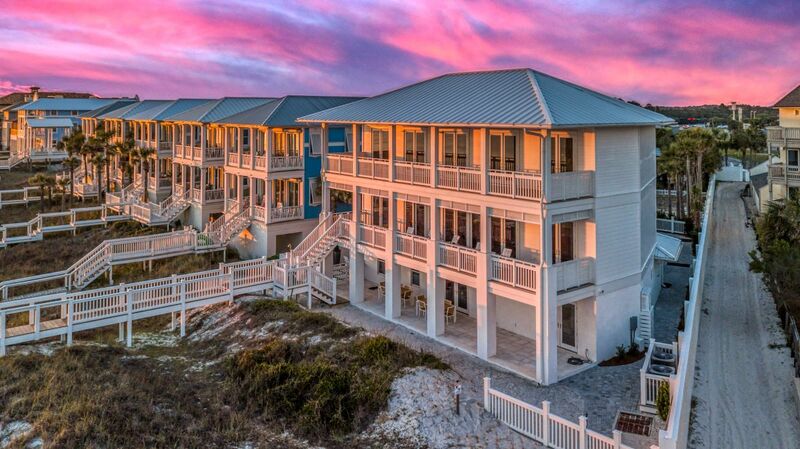 This immaculate retreat provides you and your guests all the privacy, all of Emerald Coast's beauty, but none of the crowd. 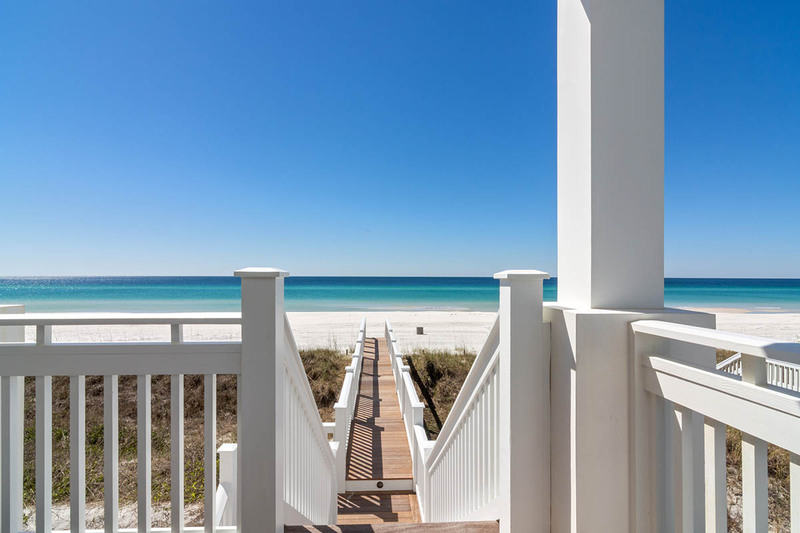 If you find yourself in the mood for adventure, you'll have eateries, shopping, and the opportunity to experience the exciting 30A lifestyle at your convenience. Beauty & The Beach truly offers the best of both worlds. 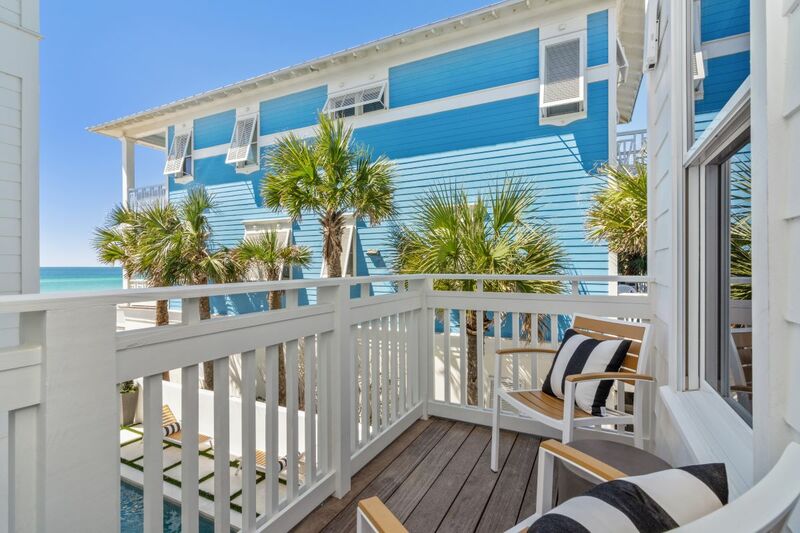 For additional options, the 2 bedroom carriage house (Sip and Sea) can be rented seperately. Note:This home does have 2 surveillance cameras on property. One facing the pool and one facing from the porch to the beach.